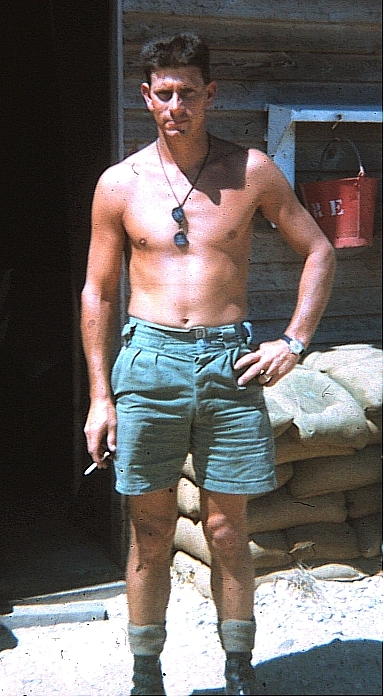 George Parker was healthy and physically fit when he arrived for his 12-month tour of duty in South Vietnam in 1968-1969, where he was a Troop Sergeant of a Signals Communications troop in the Australian Army. 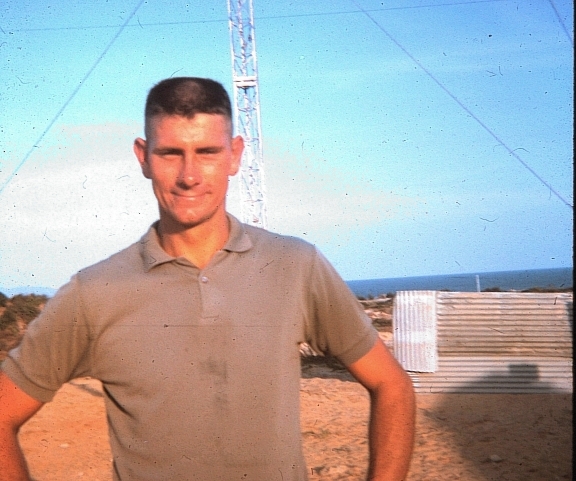 George Parker served in the Australian Army for 21 years, from 1959-1980, working in worldwide communications within the Corps of Signals. But it was his one-year tour of duty in South Vietnam 45 years ago that changed his life forever. During that tour, George received much greater and more constant exposure to radio frequency microwaves from the various radio transmitters and receivers he was living and working with. As a result of his Army exposure, George developed significant and lifelong electrosensitivity. But until the year 2000, he had no name for his disabling condition, and no insight into the cause of his torment. He just termed it his “silent illness”. “I arrived in South Vietnam in December 1968,” George tells me. “After a month or so, I began to feel ill, strange and suffering from nausea. There was a 1,000-watt transmitting antenna that was radiating continuously over our base camp, for rear communications back to Australia. When not on operations, we were camped at our base camp. It was possible to boil water in front of the bed-frame antenna system. I lived and worked in close proximity to all of this equipment, and slept 100 meters away. That was just part and parcel of the life of a communicator,” George explains. As his tour in Vietnam progressed, George’s symptoms worsened. “I was weak and tired, I was fatiguing easily and experiencing, vomiting, diarrhea, headaches, joint pain, confusion, anxiety, and even bouts of crying,” he recounts in his diaries, which he generously gave me access to for writing up his story. 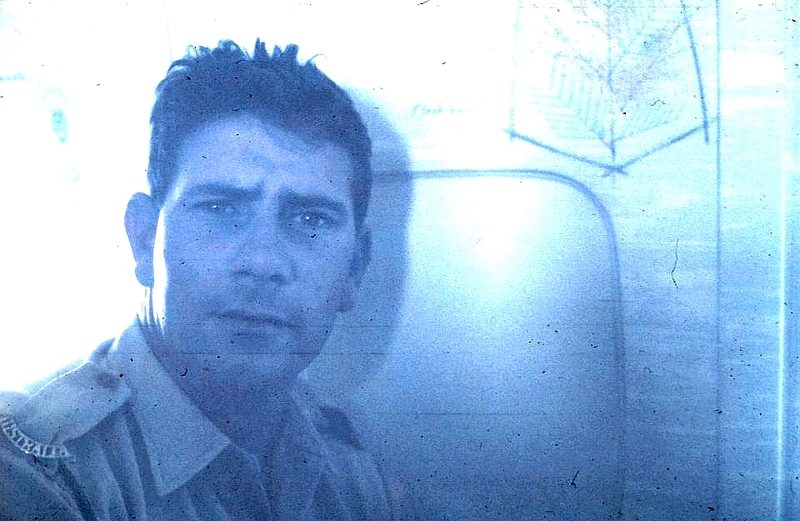 George, who had been a very physically fit soldier prior to his Vietnam tour, returned home to Australia in December of 1969 where his symptoms expanded further. 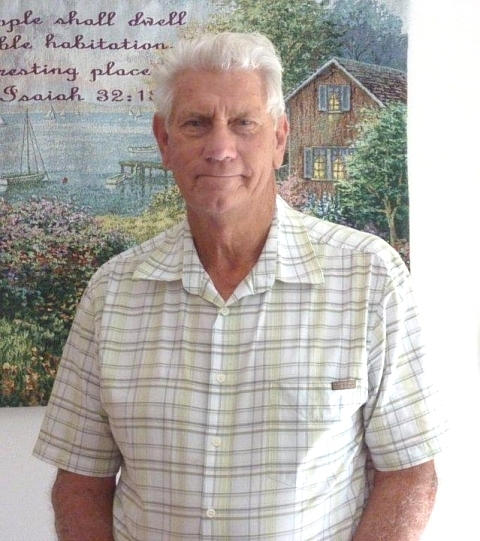 “I suffered continually with chronic flu-like illness, aching glands, aches and pains in all joints and muscles, cold sweats, always feeling sluggish and extremely sleepy, and I had difficulty with memory and concentration,” George recalls. “The symptoms waxed and waned, interfering with my family, Army, and sporting life,” he adds. George had adopted a rigorous fitness program and became actively involved in marathon kayak racing—all as part of his bid to conquer his mysterious affliction. But his recovery time after each grueling kayak race grew longer and longer until he finally had to give up the sport he loved in 1983. Despite numerous visits to doctors over the ensuing years, none of them could accurately diagnose George’s malady. Instead, doctors scratched their heads, gave George a pat on the back, and sent him out the door with antibiotics, anti-depressants, and a variety of other pills. “My Army mates nicknamed me Pills Parker,” George remembers. George had long suspected that his time in South Vietnam was at the root of his ongoing health problems, which all seemed to start there. “I began to believe that my respiratory disorder was due to inhaling Agent Orange, insecticides, other chemicals, gas, and dust [while in Vietnam],” he says. And indeed such toxins may have played a part in George’s baffling health problems. So potent was the RF radiation near the bed-frame antenna system of the TRC-24 that it was possible to boil water in front of it. 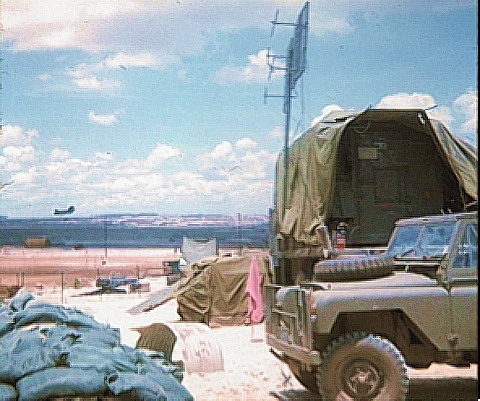 Shown here, the antenna is mounted on a mast beside the shelter while on operations north of Saigon (Long Binh Ops) 1969. It would take another 16 years before George would gain some real insight into the primary cause of his problems. In 1997, George and his wife moved to Tasmania, an island state located 150 miles south of the Australian continent. Tasmania is famed for its large and comparatively unspoiled natural environment. The couple lived in a part of Tasmania with no mobile phone coverage, and the nearest power transmission lines were miles away. In 2000, George and his wife returned to the Australian mainland, and all of George’s symptoms quickly returned. The full picture finally emerged for George after he and his wife embarked on a caravan lifestyle, touring around Australia. When his wife activated her mobile phone, George felt burning and tingling in his limbs. Each time they would leave the road and enter a caravan park where he was exposed to much higher densities of microwave radiation from other caravans with mobile phones, as well as the low frequency electromagnetic radiation from the site’s power system, George’s symptoms would worsen. 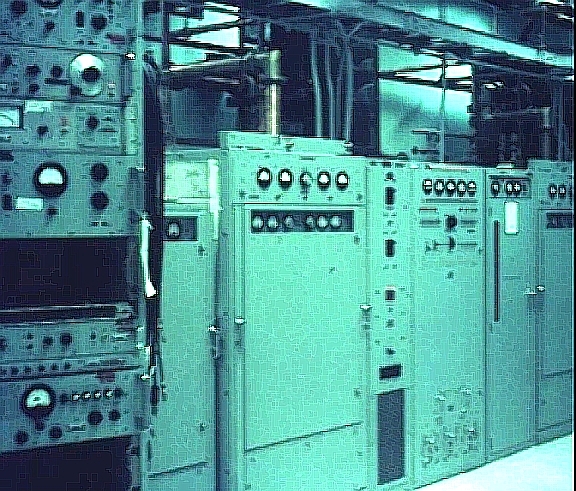 The E513 was a 1,000-watt high-frequency transmitter, and was one of the components irradiating George for his 12-month tour in South Vietnam in the 1960s. In fact, it was back in the 1950s that Russian researchers identified what they termed “microwave sickness” in soldiers and workers who received daily occupational exposure to radio frequency (RF) and microwave equipment. Clinics were established in Moscow, Leningrad and other cities in the Soviet Union and Eastern Europe to treat thousands of people afflicted with the same condition George was suffering from, due to his own military exposure to this radiation. 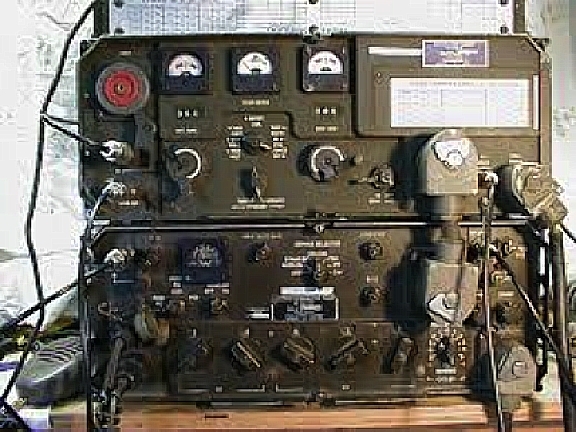 The AN-GRC 106 was a 200-watt high frequency receiver/transmitter used by George and his troop for back-up communications. In 1971, the US Naval Medical Research Institute compiled a 116-page report consisting of a comprehensive bibliography of all known “Reported Biological Phenomena and Clinical Manifestations Attributed to Microwave and Radio-Frequency Radiation.” That report, now declassified, contains a staggering amount data that is decades old. The list of known and suspected health maladies arising from exposure to this type of communications and radar-related radiation is pages long and spans everything from myocardial necrosis, convulsions, and liver enlargement, to blood and bone changes, scalp sensations, and irritability. This Navy report leaves no doubt whatsoever on the questions of: “What did the US military (and government) know, and when did they know it?” They knew it all in 1971 at the latest. And possibly much sooner, if they had access to the Russian research back in the 1950s. After George was discharged from the Australian Army in 1980, he and his wife moved into populated suburban areas where high power transmission lines were never more than 50-100 meters from their home. George Parker today, at age 76. Today at age 76, George is focusing on living the best life he can within the constraints of his retirement village in Gold Coast, Queensland, where neighbors populate their homes with the typical assortment of wireless devices. He has become an active participant and contributor on several electrosensitivity support groups on Facebook. His decades of surviving with EHS (Electromagnetic Hypersensitivity)—and even keeping a sense of humor about it—have made him a bit of a legend in these online support groups. “Wireless technology is no different than asbestos and passive cigarette smoking, which have finally been banned in most countries, but only after decades of fighting for our rights,” George reminds his fellow sufferers in a posting. © Kim Goldberg 2014. All rights reserved. This entry was posted in EHS Stories and tagged Australian Army, Corps of Signals, George Parker, Long Binh, microwave sickness, military exposure to radiation, occupational exposure to microwaves, Saigon, South Vietnam on March 26, 2014 by Kim Goldberg.